Kenya has ordered the closure of the Dadaab refugee camp by the middle of this year with the race now on to find homes for more than 210,000 people, according to a leaked internal United Nations document obtained by the Thomson Reuters Foundation. 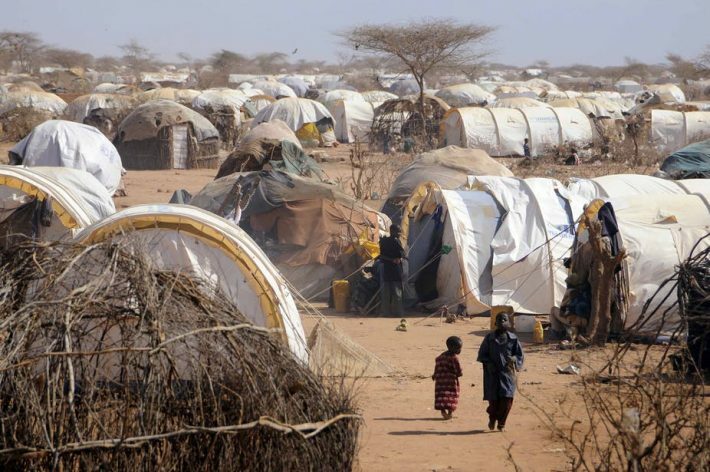 Citing “national security concerns”, the Kenyan government wrote to the United Nations refugee agency (UNHCR) on Feb. 12 about plans to close Dadaab within six months and asking the agency “to expedite relocation of the refugees and asylum-seekers residing therein”. Located in eastern Kenya, Dadaab was established almost 30 years ago and was once the world’s largest refugee camp, at its peak providing shelter to about half a million people who were fleeing violence and drought in neighbouring Somalia. Kenyan authorities announced plans in 2016 to shut Dadaab, citing concerns that Somalia-based al Shabaab militants were using it as a base to plan attacks in Kenya. But the High Court blocked the move in 2017, saying it was unconstitutional and violated Kenya’s international obligations. Human rights groups criticised the renewed push to close Dadaab, saying it threatened the rights and safety of the mostly Somali refugees, who could be forced to return home. “The authorities should ensure that any refugee returns are voluntary, humane, and based on reliable information about the security situation in Somalia,” said Otsieno Namwaya, Africa researcher at Human Rights Watch (HRW). “Forcing them to go back to face violence or persecution would be inhumane and a violation of Kenya’s legal obligations.” HRW said although the specific reasons for the renewed demand to close Dadaab were not clear, Somali refugees were often blamed by Kenyan government officials for terrorist attacks in the country, although no evidence has been provided. According to the U.N. document, UNHCR has helped almost 83,000 people return to Somalia voluntarily since 2015. But the number of returnees dropped last year to about 7,500 compared to about 35,500 in 2017 and 34,000 in 2016. As Somalia descended into civil war, Dadaab was established by the United Nations in 1991, and has since mushroomed, with more refugees streaming in, uprooted by drought and famine as well as on-going insecurity. Many have lived there for years. The settlement, spread over 30 square km (7,415 acres) of semi-arid desert land, has schools, hospitals, markets, police stations, graveyards and a bus station. Kenyan government restrictions mean refugees cannot leave the camp to seek work so people have few ways to earn a living other than rearing goats, manual labour and running kiosks and rely on food rations, much of these sent by foreign donors.